The former NOCCA school building on Perrier Street in Uptown New Orleans sold at auction Thursday for $2.45 million to a couple who said they bought the century-old building in order to save it. “It’s one of the best pieces of real estate in Uptown,” said developer Jim MacPhaille, the winning bidder. 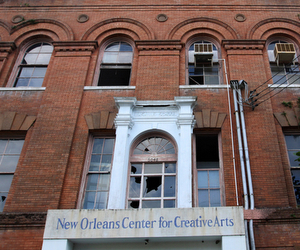 The building, constructed in 1901, has been vacant since the New Orleans Center for Creative Arts moved out several years before Hurricane Katrina. The Orleans Parish School board has made several previous attempts to sell the property, and Lusher Charter School briefly considered moving in but deemed the $10 million in expected renovation costs too high. The building came to auction Thursday morning with an appraised value and starting bid of $1.5 million, based on the high value of the large Uptown parcel minus the costs of tearing the building down, which the appraiser deemed the most affordable use of it. With two bidders competing, the price quickly rose to about $2.4 million and appeared close to closing, when a third bidder, MacPhaille, stepped in with the winning bid of $2,450,000. Jim MacPhaille said he attended school in the building when it was still known by its original name, the LaSalle school. As far as his plans for the building, he said merely that he is considering “a lot of options” moving forward. 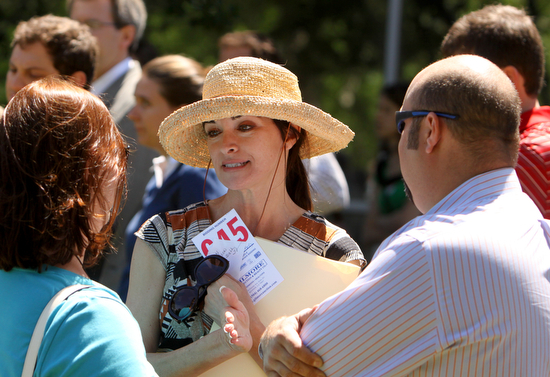 News of the building’s sale was met with enthusiasm Thursday. Among MacPhaille’s other projects is a condo building under construction along Audubon Park on the Walnut Street side. Jack Davis, a neighbor of that project and a board member of the National Trust for Historic Preservation, also welcomed MacPhaille’s purchase of the NOCCA site. 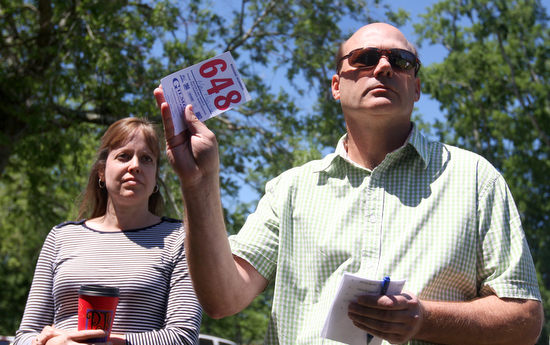 Though only three of the properties (the two schools and one caretaker’s cottage on Camp Street) out of the eight up for auction sold Thursday, OPSB chief financial officer Stan Smith deemed the auction a success. The three sold together for more than $3.3 million, well above their appraised values, likely returning them to the city’s tax rolls. Also sold at Thursday’s auction was the former caretaker’s cottage at the New Orleans Free School at 3619 Camp Street, which went for $240,000. 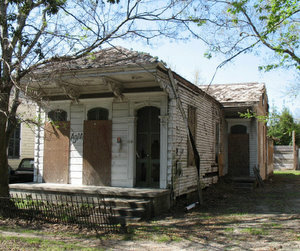 The buyer, Andrea St. Paul Bland, said she restores historic properties through her company, Opportunity NOLA, and plans to fully renovate the Camp Street house and rent it for several years. The tax credits for the work she does will expire this year unless the state legislature renews them, so Bland said she was seeking one more substantial renovation project before that happens. She was drawn to it because its poor condition is in such stark contrast to the beautiful homes that surround it, and the high renovation costs compared to its current value will aid in the tax credits. Contact Robert Morris at rmorris@nolamessenger.com, or leave a comment below. A great day for historic preservation in New Orleans! 8. more density = more urban, less suburban. This is amazing news!! So glad the school will be saved and put back into use, rather than demolishing it and putting more low density single family homes with little soul. That is an incredible building and will make amazing condos or mixed use. Great to infuse the school board with this cash, as well as get these properties back on the annual tax roll too. And this will make room for more residents in our Uptown neighborhood. 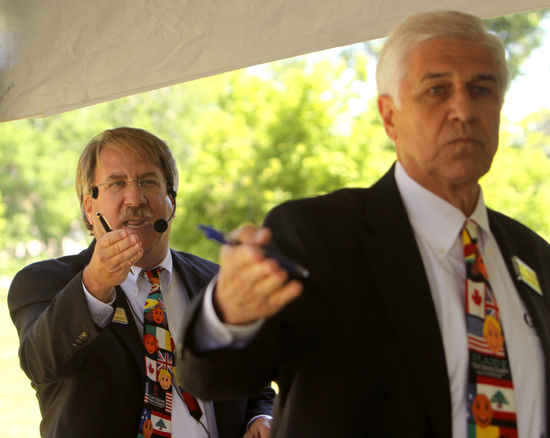 We can use more people here and judging by the rising home prices, there is a demand for it. Sally, the bureaucratic catch-22 surrounding this site in general was mentioned in the appraisal (http://uptownmessenger.com/2011/04/former-nocca-building-returns-to-auction-with-demolition-deemed-most-likely-outcome/). Any developer who tried to tear it down would likely be met by opposition from preservationists. But the property’s zoning is for two-family homes at the most, so any redevelopment of it will require going through the zoning process, which can be daunting for any project. When I asked MacPhaille what he wanted to do with it, he made the wry reply that “It would make a great single.” That joke (I think it was a joke) seems like acknowledgment of the difficult path in front of any project there. On the other hand, he said he lives nearby, so maybe the neighbors will trust him. ps. I actually thought about including that comment in the article but decided against it, because it’s my experience that anything said even partially in jest is usually misunderstood in print. And I only had a moment to speak with him before he went to handle the paperwork on his purchase, so I didn’t think pinning him down on whether he really intends to make it a single-family home was the best use of my time. Actually methinks he will turn it into a grand single, no joke. There’re more than a handful of Hollywood types and highly paid athletes that would snap that up after the renovation. If you look at his track record as a developer that is the likely path. Good for him, good for the neighborhood, and good for the city. It’s nice to see rather than demoing an otherwise perfectly dry and historic site. LaSalle has a Facebook Group page if anyone is interested!